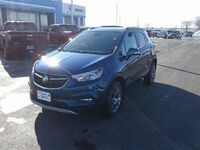 A compact crossover SUV like the 2019 Buick Encore is capable of hauling more cargo and passengers to help you dominate your daily to-do list. Along with interior versatility the 2019 Buick Encore also offers gas-sipping efficiency so you can do more will filling-up less. 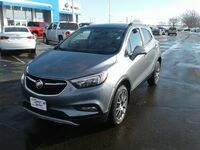 Four trim levels and eight exterior color options make the 2019 Buick Encore a customizable crossover SUV. 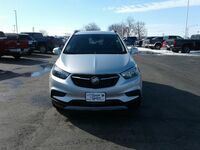 Learn about the trim levels and available equipment for the 2019 Buick Encore below and you can see the attractive and accommodating 2019 Encore at Sleepy Hollow Auto proudly serving the La Crosse, WI community. What are the Trim Levels of the 2019 Buick Encore? 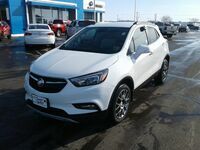 The 2019 Buick Encore is offered in four trim levels which include the 1SV, Preferred, Sport Touring, and Essence. All four trim levels get equipped with 1.4L Turbocharged 4-Cylinder engine that supplies the 2019 Encore with a 138 horsepower and 148 lb-ft of torque. A 1.4L SIDI Turbo engine with Start/ Stop technology is available for the Essence trim level that increases horsepower to 153 and torque to 177 lb-ft. Both engine options pair with a 6-Speed Automatic Transmission for optimal fuel economy while All-Wheel Drive (AWD) is an option for the top three trim levels for confident driving over any terrain. There is spacious seating for five people inside the 2019 Buick Encore and it provides them with 92.8 cubic feet of passenger volume. Front seat passengers receive 39.6” of headroom and 40.8” of legroom while passengers in the second row get 38.8” of headroom and 35.7” of legroom. The split-folding rear seat of the 2019 Buick Encore makes it easy to expand its standard 18.8 cubic feet of cargo room up to 48.4 cubic feet when the second-row seat is folded flat. 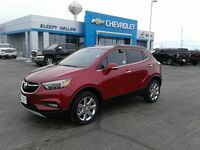 Standard interior technology features of the 2019 Buick Encore include an 8” color touchscreen display with Bluetooth®, Apple CarPlay™, and Android Auto™. Every trim level also gets loaded with a 4G LTE Wi-Fi® Hotspot so everyone can search, stream, and share on the drive across town or across the country. 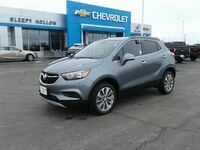 Come to Sleepy Hollow Auto today to take the 2019 Buick Encore for a test drive and experience all of its exciting features first-hand. 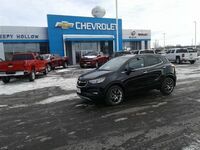 Interested in a 2019 Buick Encore?